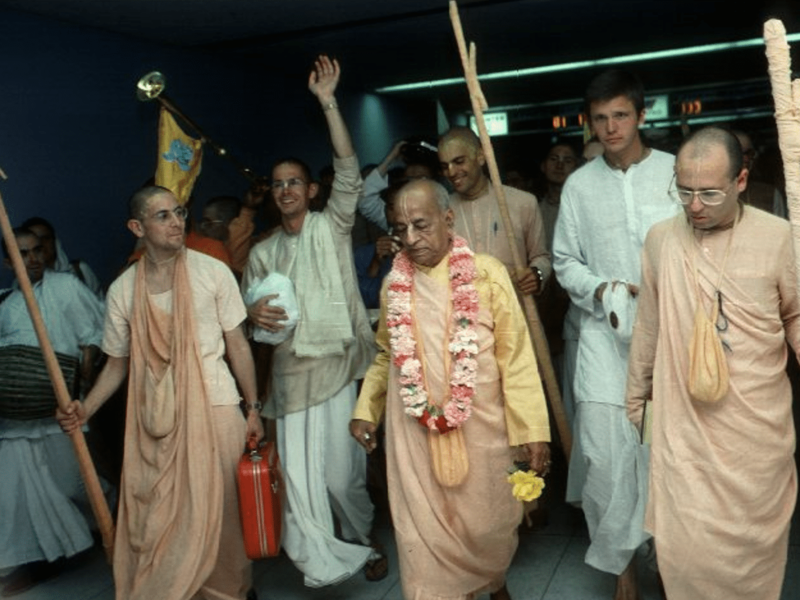 Carudesna das : After Prabhupada arrived, he had darshan and I was invited to come up. I had my son with me and I walked in and Prabhupada said, “Who is this?” I said, “This is my son.” He said, “This is a very nice boy. I want you to take care of him and take care of your family.” I was thinking more about book distribution because that was my service. At the time in the movement, family life was not something that we really thought about. So later on, my son and daughter were put into prison. It was when that happened I went back to that and I heard that clear from Prabhupada, “Take care of your son, take care of your family,” and I realized that I had failed in that effort. So for five years I did some soul searching. I wanted to really understand the true meaning of family. So I felt inspired to try to establish an organization to deal with the issue of family. The organization that I’ve established, it’s called “Save the Family Foundation.” The first thing that we try to do is establish the fact that God has to be the center; and if God is in the center, then there is a foundation on which to build the family. I’ve been able to do that, and now my son and daughter are doing very well. They’re living productive lives. Going back to Prabhupada’s instruction that the way to really please my spiritual master is to take care of my son and take care of my family, so I’ve dedicated myself to that mission.